Superior quality olive oil obtained directly from olives and solely by mechanical means. This extra virgin olive oil is lightly fruity and slightly peppery making it perfect for bread dipping with herbs. 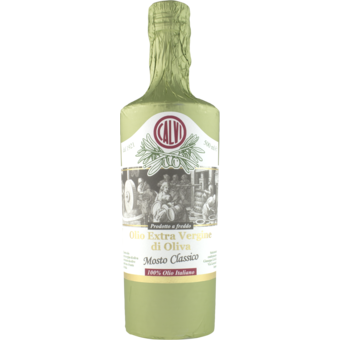 This is the ideal traditional Italian oil due to its thickness and supreme flavor. Store away from heat sources and direct light, due to its clear bottle, the unfiltered sedement may dissipate, altering the flavor.